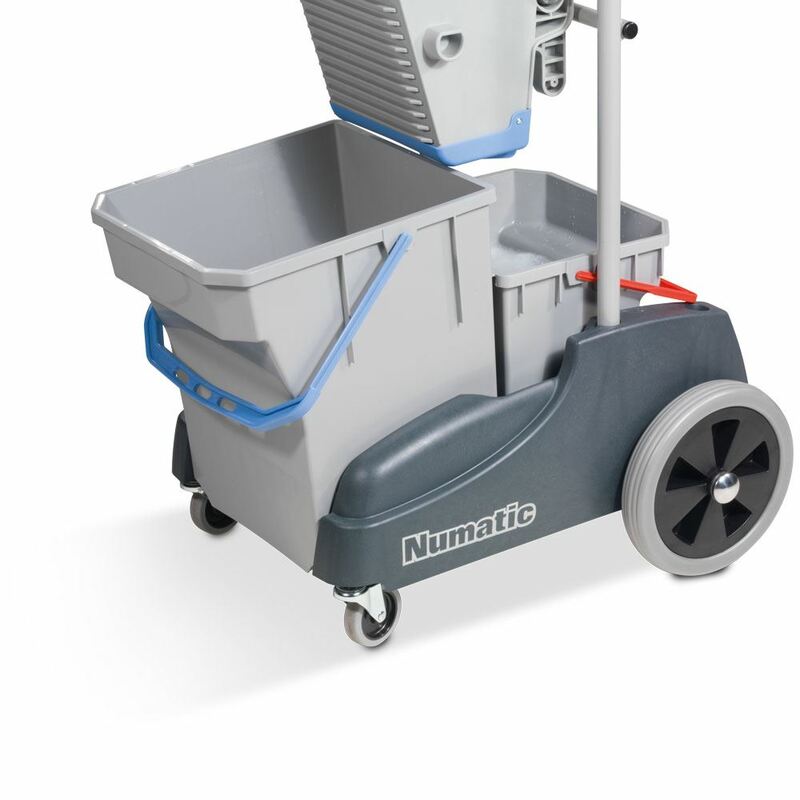 The Twinmop 2815 is a world first, being a complete compact dual bucket mopping system incorporating our large, oversize, clean water bucket, dirty water pail and using our patented AWS (Automatic Water Separation) system. AWS is a serious operational advance… it means you only work from the one generous 28-litre clean water bucket below the press, but every time you use the press the water is automatically discharged into the red dirty water pail, providing for quick and easy emptying and refilling. AWS really does make mopping quicker and better. 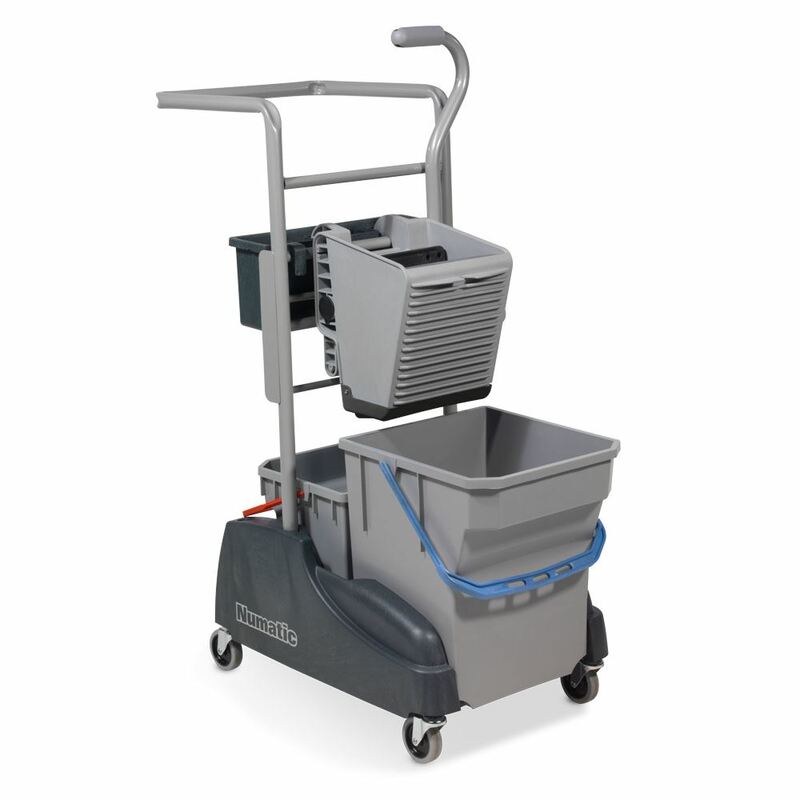 The Twinmop system is equipped with the All-Mops Press, allowing use with the full range of Kentucky and Flat mopping systems. The chassis is our strong high profile construction, running on 75mm (3”) non-marking castors, ensuring excellent mobility. A small caddy is also provided to permit all those essential cloths, sprays, etc to be carried as standard. • Allmops Press – Allows the use of both Kentucky style and Flat mops. 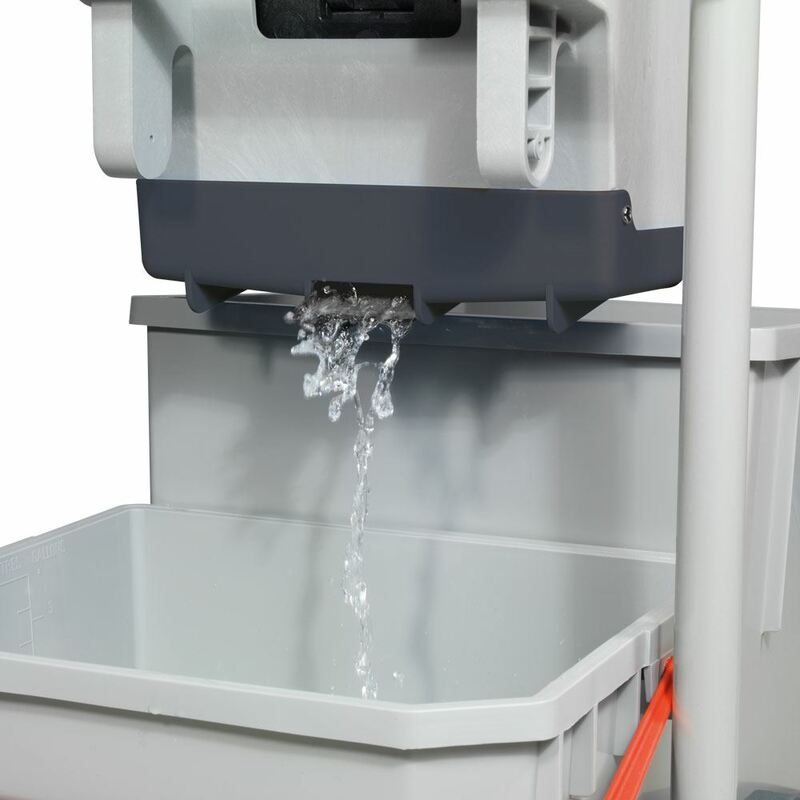 • Automatic Water Separator – Dirty water is simply diverted to the red handled dirty bucket keeping your clean water, clean.